When Fox News and talk radio host Glenn Beck comes to Washington this weekend to headline a rally intended to "restore honor" to America, he will test the strength - and potentially expose the weaknesses - of a conservative grass-roots movement that remains an unpredictable force in the country's politics. Beck, who is both admired and assailed for his faith-based patriotism and his brash criticism of President Obama, plans in part to celebrate Martin Luther King Jr. as an American hero. He will speak on the anniversary of the "I Have a Dream" speech, from the spot where King delivered it. Some "tea party" activists say the event, at which former Alaska governor Sarah Palin is also scheduled to speak, will have a greater impact than last September's "9/12" march along Pennsylvania Avenue. Although the attendance figures for that anti-tax rally are disputed, it was the first national gathering to demonstrate the size and influence of the tea party movement. But with just a few days before the Beck rally, basic questions linger, including how big it will be and whether the event, which Beck says is nonpolitical, will help or hurt Republicans in November. Also unanswered is whether Beck can pull off the connection to King without creating offense - or confrontation with another event the same day led by the Rev. Al Sharpton. Beck said in a recent broadcast that he did not intentionally choose the "I Have a Dream" anniversary for his rally - but that he believes the coincidence is "divine providence." "Whites don't own Abraham Lincoln," he said. "Blacks don't own Martin Luther King. Those are American icons, American ideas, and we should just talk about character, and that's really what this event is about. It's about honoring character." The rally, which is also being billed as a tribute to U.S. troops, will be from 10 a.m. to 1 p.m. on the steps of the Lincoln Memorial. Video screens and sound towers will be positioned along the reflecting pool and as far east as the Washington Monument. It will be a weekend of political activity, with tea party organizer FreedomWorks hosting a convention in Washington on Friday, Beck's and Sharpton's events Saturday, and a major effort by Democrats to knock on 200,000 doors nationwide Saturday and Sunday. Beck is expecting as many as 100,000 people and is heavily promoting his event on his TV and radio shows. Sharpton expects a smaller number for an annual commemoration of the "Dream" speech. That event, which focuses on education, will begin at 11 a.m. with speeches at Dunbar High School in Northwest. It will continue with a march to the site of the planned King memorial, at the same end of the Mall as the Lincoln Memorial, placing participants of both events in close proximity. Beck says his event, "Restoring Honor," is not intended to rally voters to the polls in November's midterm elections. No signs are allowed, and not one elected official currently in office will be part of the program. Operatives at virtually every Republican committee in Washington claimed little or no knowledge of the event. They might well have cause to be squeamish: Beck has accused Obama of reverse racism and of having "a deep-seated hatred of white people," and his plan to celebrate the lessons of the civil rights era creates the possibility of confrontations. It could also result in damaging imagery, similar to the photos that emerged from some early tea party gatherings, which Democrats could use to paint Republicans as extreme. That may explain why the event is being met with near-total silence by Republicans. "In general, people coming to Washington, being organized and active is a good thing," said Doug Heye, a spokesman for Republican National Committee Chairman Michael S. Steele. "But I gotta be honest with you - I don't know about any Glenn Beck event." Democrats aren't passing up the chance to tie the GOP to the rally. "Republicans for well over the past year have firmly embraced the tea party and some of these right-wing fringe groups that Glenn Beck and Sarah Palin have rallied around, and these are becoming serious campaign liabilities in the general election," said Ryan Rudominer, spokesman for the Democratic Congressional Campaign Committee. "The fact that they're trying to plead ignorance is just completely absurd." Conservative activists, meanwhile, promise that the rally will show their unity and voice, as last year's 9/12 event did. Jamie Radtke, founder of the Federation of Virginia Tea Party Patriots, predicted an event as much as twice as large as last year's, based on the number of buses that local tea party organizers have chartered. The Richmond Tea Party alone is sending 15 buses - up from seven last year, she said. Marcus Kindley, an organizer for Americans for Prosperity in Greensboro, N.C., predicted a similar showing from his region. "There's a buildup of energy out here of people frustrated because they don't think Washington's listening," Kindley said. "At 9/12, it was a wonderful coming together of people who felt like their voices weren't being heard. And I think the reason so many more are coming this year is because our voices still aren't being heard." 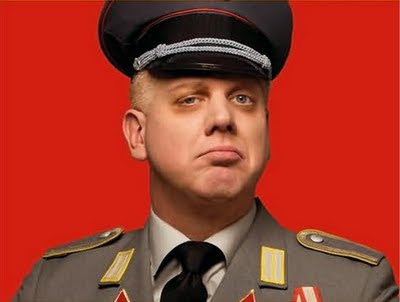 Beck, the third-highest-rated radio personality, has promoted the event relentlessly to his enormous audience. FreedomWorks, the tea party group that staged 9/12, is lending its organizational muscle and grass-roots network. It's not clear what the political effect of the rally will be. Despite the potential for conflict and bad press, it could energize a segment of conservative voters. The disconnect between tea party groups and GOP electoral efforts has been viewed as evidence that the movement would struggle to translate its power into political results. Yet that disconnect could help draw activists Saturday who are unhappy with both major parties and would be reluctant to participate in a GOP event. Though they profess distaste for Washington, their energy would help Republicans if they turn out in November. Sharpton, meanwhile, is expecting thousands of participants and has been promoting his event on his daily talk radio show, sending word through the grass-roots groups affiliated with his National Action Network and coordinating small rallies around the country. Spokeswoman Rachel Noerdlinger noted that Sharpton decided in April that his group's annual commemoration of King's speech would be in Washington this year, including a march and rally around the King memorial site, and she stressed that it is not in response to the Beck event. But Sharpton argues that Beck's message is counter to King's. "Glenn Beck and others are expected to push for the expansion of states' rights - the exact antithesis of the civil rights movement and Dr. King's legacy," Sharpton said in a news release promoting his march. "The Tea Party and allied conservatives are trying to break that national stance on justice and, in turn, break the crux of what the civil rights movement symbolized and what Dr. King fought and literally died for." Alveda King, the pro-life niece of Martin Luther King Jr. who will appear with Beck, disagreed. "The theme of the 8/28 rally is not political," she said. "We're putting honor over politics. I will not be talking about any political position or any political party. I'll simply be calling all Americans to pray, to have faith, to honor god and all humanity. I am very interested in agreeing that this is not a political event and so those expecting to be offended will not receive that kind of approach from me." This is an unprecedented provocation. Can the US Democracy put up with such high level of insult?